​Atalanta face Milan in Serie A at Stadio Atleti Azzurri d'Italia on Saturday with both sides looking to build on recent victories. The Orobici have won their last three games in all competitions and beat SPAL 2-1 last week via goals from Josip Ilicic and top scorer Duvan Zapata. Currently fifth in the league standings, Gian Piero Gasperini's side will leapfrog their opponents on Saturday if they claim all three points. ​Milan have experienced something of a resurgence in the past two months and are currently on an unbeaten run of six games in Serie A.
I Rossoneri comfortably swept aside Cagliari 3-0 last week at San Siro and know that a win on their travels could see them move within one point of their arch rivals Inter who currently occupy third position in the table. With both sides looking to qualify for next season's​ Champions League, this weekend's fixture could prove vital in providing the momentum needed to prosper in the second half of the Serie A season. Atalanta are expected to be at full strength for the visit of Milan on Saturday with forwards Alejandro Gomez, Ilicic and Zapata all expected to start in an attacking lineup. Mario Pasalic, who is on loan from ​Chelsea, could feature against his former side with Matteo Pessina also pushing for a start after appearing as a substitute in last week's win against SPAL. I Rossoneri manager Gennaro Gattuso will head to Atalanta without long-term absentee Giacomo Bonaventura who is expected to miss the rest of the season following knee surgery in November, whilst veteran goalkeeper Pepe Reina is a major doubt due to injury. Lucas Biglia may play some part against the Orobici after returning to the squad last week whilst new signings Krzysztof Piatek and Lucas Paqueta are both likely to start after scoring against Cagliari. Bakayoko, Paqueta; Suso, Piatek, Calhanoglu. Atalanta and Milan's meeting on Saturday marks the 50th occasion that the two teams have met in their history with I Rossoneri winning the fixture 23 times whilst the Orobici have come out on top 11 times. The corresponding match between the two sides in September ended in a 2-2 draw at San Siro as a late goal from Zenit loanee Emiliano Rigoni snatching a point for the visitors. A win for Milan at Atalanta would be their first over their opponents in seven games, a run which dates back to 2015. Atalanta have been nothing short of outstanding over the past six weeks, winning four of their last five in ​Serie A. The highest scoring team in Italy's top division this season, the Orobici have bagged an impressive 26 goals in their last ten matches in all competitions. Milan's form in recent weeks has also been impressive with Gattuso's side losing just once in their last nine competitive fixtures. Following the purchase of Piatek from Genoa in the January transfer window, I Rossoneri have transformed in an attacking sense with the Polish forward scoring four in his first four games for the club. Here's how both sides have fared in their last five Serie A games. With both sides scoring a plethora of goals over the past month, Saturday's fixture should be a high-scoring affair, especially when you consider that two of the league's top scorers in Piatek (15) and Zapata (16) will be involved. 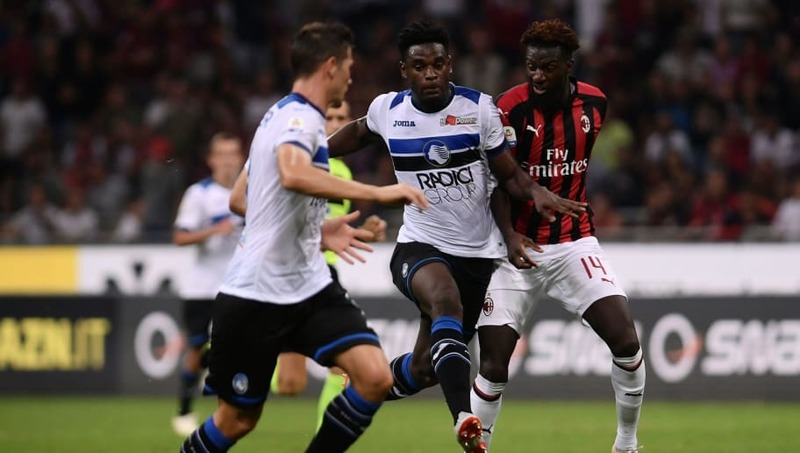 Atalanta's recent run of results has seen them drop just two points from a possible fifteen and given that they have home advantage they will be confident of beating I Rossoneri despite being behind them in the Serie A standings. Milan, however, have lost just twice on their travels this season and will undoubtedly prove to be a tough obstacle for the Orobici to overcome. In what will be an exciting encounter, both sides will get on the scoresheet but ultimately cancel each other out, leaving the race for the Champions League places wide open in Italy.